The Pink Cart Nail Art Trio from Native War Paints - Polish Etc. I have a very special charity polish collection to share with you all tonight! Native War Paints has teamed up with Cascade Cart Solutions to raise money for the American Cancer Society via nail art. The Pink Cart is a trash receptacle that not only supports breast cancer research but also spreads awarenes by having that cute pink can sitting out by the road on garbage day. Native War Paints has created a trio of amazing pink polishes that comes with a mini pink cart as well as some nail art supplies. When you purchase the Pink Cart Nail Art trio, $3 will be donated to the American Cancer Society. 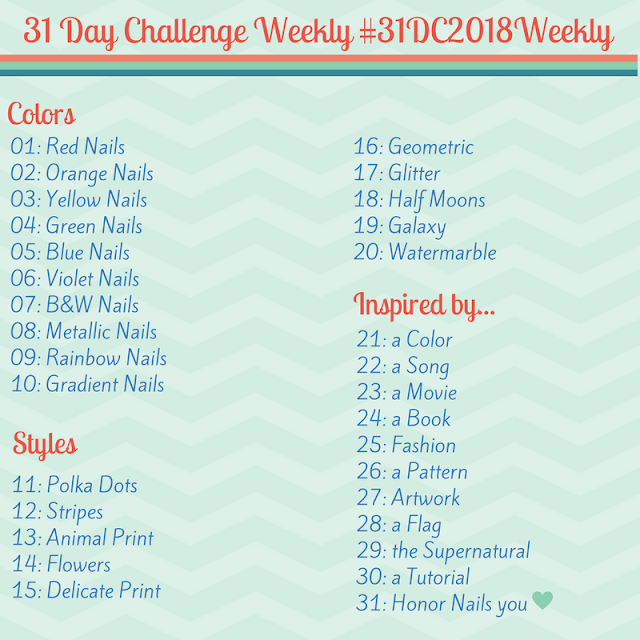 You can also get even more money donated by sharing your nail art! I will list all of the purchasing and donation info after the swatches. Let's take a closer look! "Imagine" is a light pink crelly packed with various pink glitters. The formula was a little thick with all of the glitter but it wasn't difficult to use. I did two coats with a glossy top coat. This is a really fun polish and a must have for any crelly lover. "Fight" is a bright fuchsia pink with a red shimmer. This is a my fave! Not only is it a one coater, it's matte. I need Amanda to make this polish in every color shade. It is awesome. Now, I did do two coats for this mani because I wanted to see if the color deepened with a second coat. But it was completely opaque after the first coat. I did not use a top coat for the plain swatch but I did use a top coat over the pink bow glitters. There are two shades of pink bows included in this little package. "Conquer" is a medium pink holographic microglitter. You can wear this both as a topper and also on its own. I used three coats for this mani and it was opaque enough. A good top coat will make this nice a smooth and shiny. I used the dotting tool included in the package to create a little double side dot mani using "Fight." So...everything that comes in this cute little pink cart: 3 pink polishes, double sided dotting tool, bag of of pink bow glitter. The little mini pink cart is cool, too. I think it will sit on my desk and hold all of my dotting tools and tiny brushes. The Pink Cart Nail Art trio is available now for $25 and $3 of each package will be donated to the American Cancer Society. 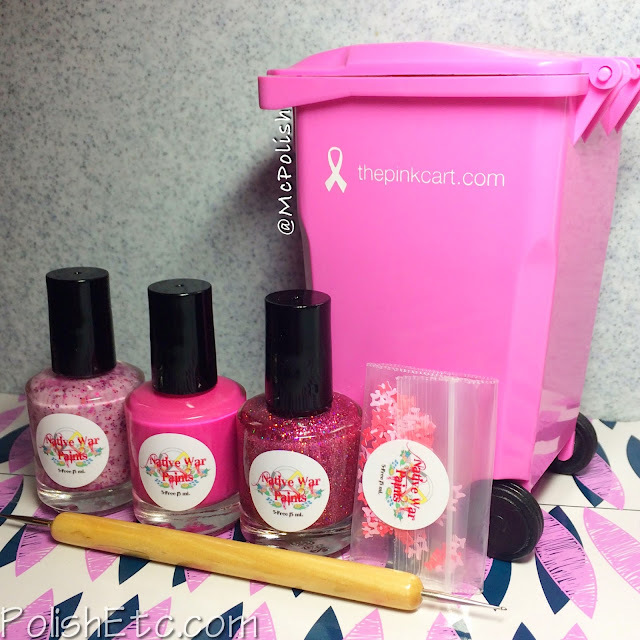 Once you get your cart, you can post you manicures with the mini pink cart on Instagram with the tag #pinkcartnailart to get $1 donated for every $10 you spend in the Native War Paints shop. How cool is that? Let me know if you pick up this special set! It will be available through October. These are soooo cute! :) Love it and the cause. It really is a great cause and the polishes are too cute.